Angled shelves can create a highly functional space in a number of ways. The chiseled edges ease opening and closing a door — leaving plenty of leeway not to crash into any corners. 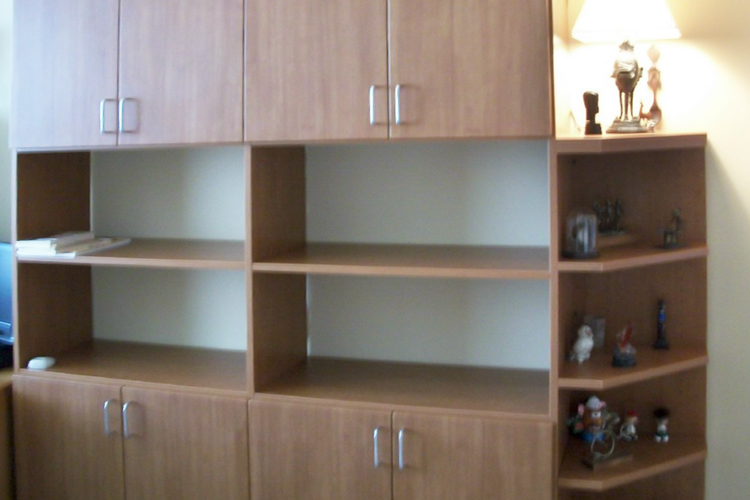 The corner shelves are also a safer option to eliminate the hazard of running into sharp edges. As a whole, less becomes more when the unit is visually condensed to appear less massive. 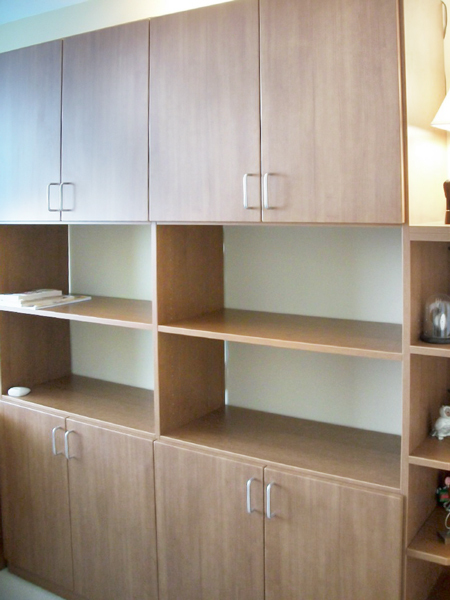 The wall unit retains necessary storage space for a home office while not overwhelming the room. Spacious shelves allow large books such as reference materials to be safely kept in one place. A home office desk has been customized to the owner's body type — creating the perfect dimensions for a personal workspace. 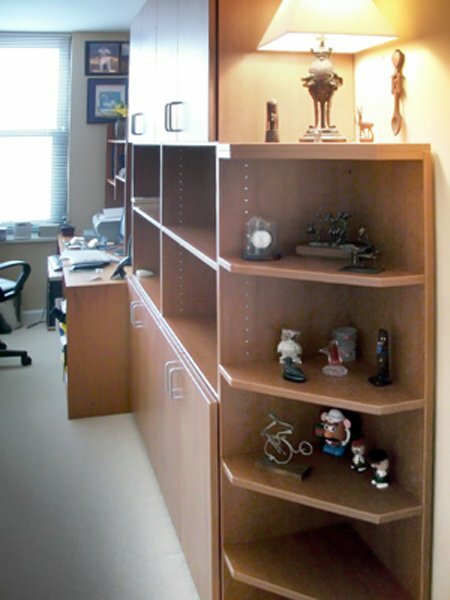 Home office with angled shelves on bookcase corner and custom desk"